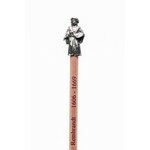 Small sketchpad, the Night Watch by Rembrandt is on the front. 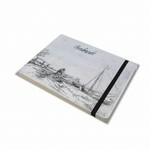 Small sketchpad, 50 white blank pages with fine grain. 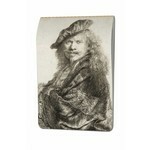 The Night Watch by Rembrandt is on the front. An elastic orange band keeps the pages together. 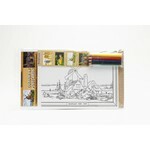 The size of the pad is 9,5 x 13 cm, easy to take along.